In the Yukon old-timers and permanent residents, the ones who stay through the winter, are called sourdoughs. I put this term to some cousins and high school friends who live in Whitehorse, and they confirmed for me that they became official sourdoughs after surviving their first winter. You might think the term simply refers to a certain surliness or heartiness of character, but the name derives from that staple product the folks of the 1896 goldrush carried in with them to the Klondike: a small pouch of sourdough starter tied about their necks or waists. Half of that starter, kneaded with fresh flour, a bit of salt, maybe some sugar, would yield a daily loaf of bread to sustain them on their gold-less stretch of creek. 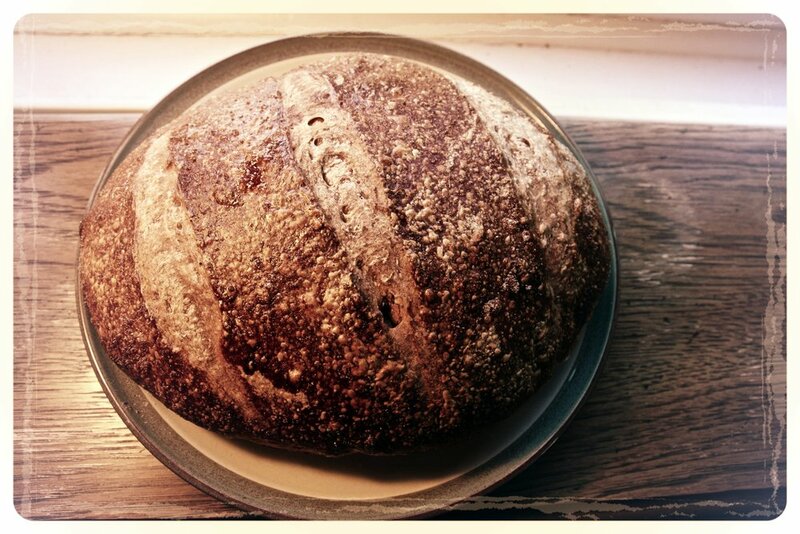 One hundred and twenty years later, sourdough continues to remain a regional staple. This February, you might consider heading to Whitehorse for the 56th annual Yukon Sourdough Rendezvous Festival, the largest winter festival in the north. Building your own sourdough starter is impressively easy and a little bit magical since the process works by capturing wild, natural yeasts from the air. Even better, sourdough baking brings with it a whole range of nutritional benefits, not least of which is simply knowing and adjusting the basic ingredients of your daily bread. 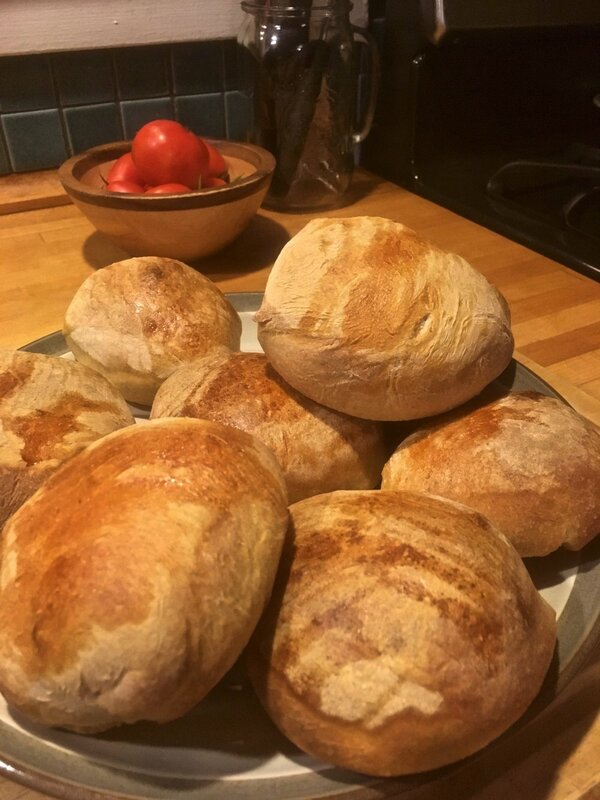 Sourdough baking is also old, like “origins-of-agriculture” old, with sourdough used as the primary leavening agent for thousands of years before the production of quick-rising baker’s yeast in the late 19th century. Scientific research is beginning to bear out the healthfulness of sourdough, especially due to its lower glycemic index (GI). 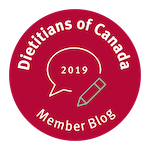 Rosanne tells me that the glycemic index is a scale that shows the extent to which a carbohydrate-containing food affects blood sugar levels compared to a reference food (glucose/sugar or white bread). Foods are classified as Low GI <55, Medium GI 55-69, or high GI >70. Since high GI foods will elevate blood sugar levels to a greater degree then low GI foods, paying attention to the glycemic index is especially important in the prevention of chronic diseases like diabetes. We know that sourdough fermentation (of either white or whole grain breads) versus bread produced with baker’s yeast reliably lowers the GI of bread. While researchers are apparently not sure how this works exactly, they speculate that it has to do with the production of organic acids that occurs during slower-rise sourdough fermentation. In a recent systematic review, researchers in the British Journal of Nutrition concluded that both whole grain and white wheat sourdough breads yield a similar blood-sugar response after consumption, but the lowest GI value came from a wheat sourdough bread enriched with oat and rye fibre. 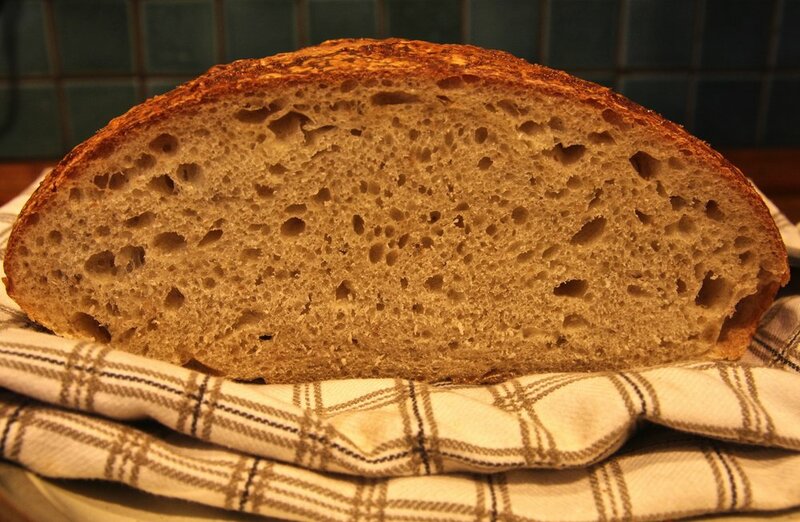 Sprouted whole grain wheat sourdough also yielded an improved glycemic response. I built my starter this past July on a bit of a whim, when it was technically still too hot to be playing around with the oven. The first loaf of bread that emerged proved so delicious that I resolved to bake most of our bread for the next little while. I’m still at it five months later, and the crisp fall air and cold rainy weekends are making the oven heat and bread baking even more desirable. Baking my own artisanal bread, playing around with slightly varying methods, and - ever the cheapskate - saving all that figurative dough has made a nascent baker out of me. Most surprising, in all of this, is the world of other sourdough recipes that opened to view once I got going. Sourdough baking works from the use of "discard": the half you remove when feeding your starter batch. Since no one wants to actually throw out good starter (though you'll need to do this occasionally - it's no big deal), you can mix it into waffles or pancakes, make it as naan bread, bake it as pizza crust, or use it in this, the very best muffin recipe I've followed. Or, of course, turn the discard into a two-cup sponge and make a deliciously crusty yet soft-springy loaf of home-baked sourdough bread. Mix equal parts rye or whole wheat flour (4oz, or about 1 cup) and water (4oz, or about 1/2 cup); let stand for 24 hrs at room temperature. The next day, discard half (in the first week, this means "throw away", but you'll soon be using this ‘discard’ to bake!) and repeat Step #2: mix equal parts flour and water, letting stand for another 24hrs. At this stage, decide whether to continue feeding with rye/whole wheat or whether you would like the more standard and versatile unbleached white flour starter. Once the starter is vigorous, airy, and doubling in size within 6-8 hours, congratulations: you've got a starter! Note that you might find yourself becoming rather obsessive about all this in the early weeks. For example, I took to exclaiming excitedly each night at 9pm: "oh! It's time to feed the baby!" This New York Times food writer made her cab turn back after she forgot to tend to her starter during its first week of life. Storing your starter is easy. While bakeries leave their starter out all the time, they feed and use it everyday. I certainly don’t have time for daily baking; I don’t even necessarily bake every week, so I tuck my starter away in the fridge for a maximum of 7-10 days, and pull it out a few hours before using. If it's fresh, it will spring back a little in warmer temperatures; if not, I'll give it a fresh feeding (a true discard) and then use half after its doubled in size. Mostly, just have fun with it. Experiment and embrace the results. Try different grains. Throw in some soaked seeds. If the Klondike sourdoughs could knead a rustic loaf beside their tent, you can certainly do the same at your kitchen counter in the heart of winter. And if the loaf doesn’t rise quite as expected, slice and toast it anyway; next time, let the sponge and dough rise for a few more hours each. Or try another recipe instead. So far, no sourdough from my oven has been inedible. 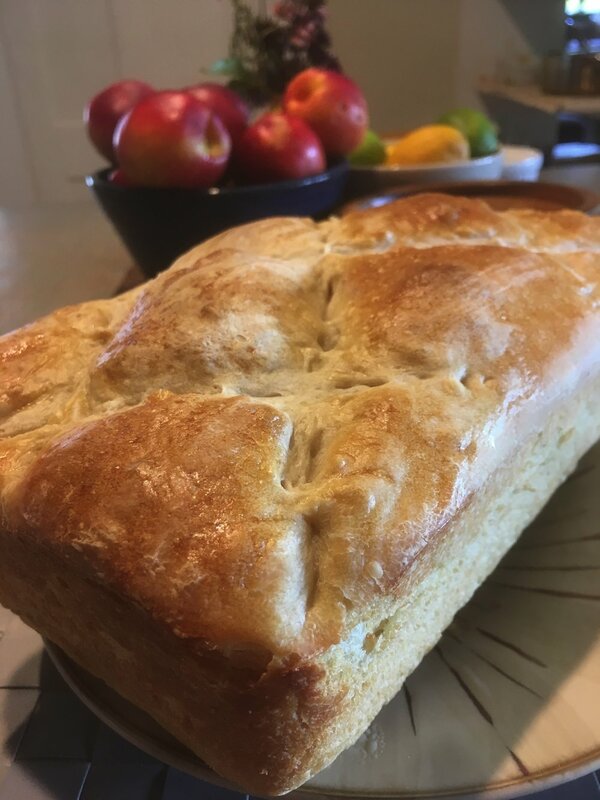 But even when (because when, not “if”) your loaf of bread doesn’t exactly look Instagram-worthy, know that it will taste like the yeast of the air and the flour and salt of the earth. In short, it will taste good. Very, very good. Geoff Martin is a writer and educator currently living in Western Massachusetts. He’s originally from Elmira, Ontario. His writing has appeared in City Brink, The New Quarterly, and Canadian Literature, and his personal essay "Walking on Water" is due out next month in Psaltery & Lyre.